Picture and Info being sought by Webmaster. Please submit if you have something! 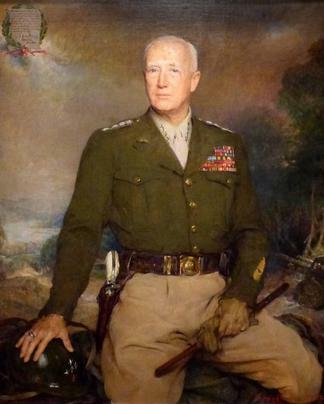 George Smith Patton Jr. was a General of the United States Army who commanded the U.S. Seventh Army in the Mediterranean theater of World War II, and the U.S. Third Army in France and Germany following the Allied invasion of Normandy in June 1944. US Speaker information not available. Please submit to Webmaster if you @ Webmaster@iafnc.org if you have anything!